CHICAGO, IL--(Marketwired - Jul 21, 2014) - Mu Sigma (http://www.mu-sigma.com), the world's largest pure-play provider of decision sciences and analytics solutions for global enterprise customers, announced today that Tom Pohlmann has joined the company as Head of Values and Strategy. In his role, Tom is responsible for external and employee communications, including developing a global marketing strategy, creating brand awareness based on Mu Sigma's thought leadership, and ensuring that employees and client engagements alike reflect the company's unique values and belief system. Most recently, Tom was Chief Marketing and Strategy Officer for Forrester Research. During his 14-year career at Forrester, he also held a number of senior management and research roles. Prior to Forrester, Tom was with NCR Teradata, PriceWaterhouseCoopers and Andersen Consulting. Mu Sigma Founder and CEO Dhiraj Rajaram said he brought on Tom for his demonstrated ability to translate complex messaging and strategies into impactful, consumable stories for the market. "Tom has the rare ability to quickly grasp very complicated scenarios, boil them down to their essence, and communicate them clearly," said Dhiraj. "Mu Sigma's business has many facets, and I believe Tom is the right person to help us get the word out about the substantial value we bring to our clients." Shailendra Singh, a former IBM executive who now leads sales and commercial effectiveness for Mu Sigma, commented, "Tom joining us is a harbinger of greater outreach in the market. We have been a closely guarded secret until now, but the time is the right time for us to amplify our messaging." Tom said he was motivated to join Mu Sigma after stimulating conversations with Dhiraj about Mu Sigma's strategy to help Fortune 500 companies institutionalize data-driven decision making, and the fact that analytics and Big Data are fundamentally changing the way companies do business. "I have been following this market for quite some time. Mu Sigma's take is very different. It's category defining in its approach to building a better art of problem solving. The company works with top-tier brands on top-tier challenges, but does so in a unique, powerful way," said Tom. Mu Sigma also announced today that former Dell executive Ganesh Lakshminarayanan has joined the company as Managing Director of their India operations. "These senior hires are key to helping Mu Sigma continue on its path of fast growth," said Dhiraj. Mu Sigma is a category-defining Decision Sciences and Big Data analytics company helping enterprises institutionalize data-driven decision making. Mu Sigma's unique interdisciplinary approach and cross-industry learning drive innovation in solving high-impact business problems across marketing, risk and supply chain. With over 3000 decision scientists and experience across 10 industry verticals, Mu Sigma has been consistently validated as the preferred Decision Sciences and analytics partner. Mu Sigma provides an integrated decision support ecosystem of products, services and cross-industry best practice processes transforming the way decisions are enabled in enterprises for more than 125 Fortune 500 clients. Mu Sigma is a trademark of Mu Sigma, Inc. in the United States and other countries. All other trademarks contained herein are the property of their respective owners. 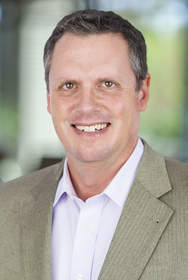 Forrester Research veteran Tom Polhmann has joined decision sciences company Mu Sigma as Head of Values and Strategy.